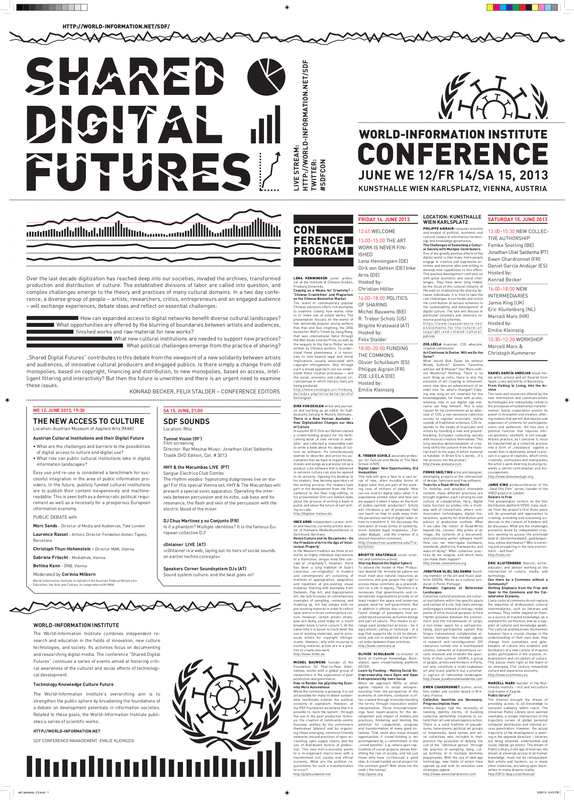 “Shared Digital Futures” was a conference to explore the impact of digital network technologies for cultural production. Over the last decade digitization has reached deep into our societies, invaded the archives, transformed production and distribution. The established divisions of labor are called into question, and deep challenges emerge to the theory and practices of many cultural domains. “The New Access to Culture” workshop and public debate on Austrian cultural institutions and their digital future at the MAK was in collaboration with BMUKK.